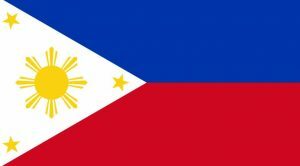 Representatives of the Philippines’ Securities and Exchange Commission confirmed yesterday that the agency was moving swiftly towards the completion of a new regulatory framework for cryptocurrency trading and ICOs. The new rules are expected to finalized later this year, and may well be enacted before the end of 2018. The move comes in response to a boom in cryptocurrency-related activities across Southeast Asia, which is still largely unregulated in the region. The new ICO regulations will include technical and security guidelines for cryptocurrency markets, and eligibility requirements for ICO issuers. Under the new rules, ICOs will be treated much like traditional high-risk investments, and will likely need to be registered with the Philippines’ SEC prior to launch. ICO’s may also require potential investors to meet additional financial literacy requirements before purchasing tokens. Unlike more conservative governments in the region, such as China, the Philippines have been generally supportive of cryptocurrency-related investments and business developments. In February of last year, the country’s central bank — the Bangko Sentral ng Pilipinas (BSP) — effectively legalized bitcoin exchanges under existing rules for remittance businesses. That move has helped the Philippines become something of a regional hub for cryptocurrency activity and innovation, with hundreds of cryptocurrency startups, several BSP-approved exchanges, and multiple Asia-focused conferences and events.